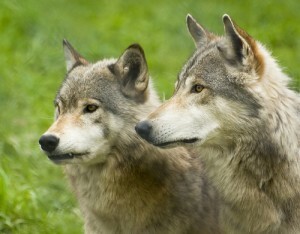 Wolves at the Shubenacadie Wildlife Park. Shubenacadie Wildlife Park is where the whole family can get up close with dozens of different animals, from the majestic moose to the rare Sable Island horse. Bald eagles, reindeer, wolves, otters and bears also call the park home, all in expansive enclosures that let the animals live in relatively natural surroundings. Running from one animal to the next helps young feet wear off extra energy. Afterwards you can visit the playground, one of the largest in Nova Scotia. There’s also an interpretive centre, a gift shop and a large picnic area, a favourite with local families since the park opened in 1954. With access to all of this for only $10.75 a family, the park makes a very good value day out. You can breeze through the park in a couple hours but it’s better to set aside most of a day to enjoy it. A morning passes by quickly, followed by a couple hours for a picnic in the expansive grounds. Afterwards, carry on towards Truro or Halifax. Directions: The park is roughly halfway between Truro and Halifax, on Highway 2. From Halifax, take Exit 9 off Highway 102 and go north to Shubenacadie and the park or from Truro take Exit 11 for Stewiacke and continue south. All paths in the park are suitable for wheelchairs. Admission fees: Prices are very reasonable. A family gets in for $10.75 in summer and $7.50 in winter. Opening hours: May 15 to October 15, daily from 9am to 7pm. Weekends only from October 16 to May 14, 9am to 3pm.